Wild Turkey 101 … possibly the most versatile and readily available American whiskey on the market today. It’s the bourbon for everyone, anywhere, at about any time. It’s like the old print ad says (in Don Draper style) … “Drink Wild Turkey now, and you won’t have to change bourbons when you become a millionaire.” But times have changed since those classic print ad days. The world has changed, and Wild Turkey 101 has changed with it. While still a solid pour, if you’ve ever tried older Wild Turkey you know exactly what I’m talking about. Yes, that’s right – your daddy’s and grandaddy’s 101 ain’t your 101. But what I’ve often wondered (never taking the time until now), was of the most recent bottles of no-age-statement WT101 (all three labels still on retail shelves if you look hard enough), which was best? Would they look and taste the same? Have there been any differences in the last five to six years that one would be able to detect? I set out to answer these questions last night with a blind tasting. Color summary: No major differences in color. Nose summary: While all of these pours very much had the expected Turkey nose, Sample B was a touch more complex and balanced. Sample A and Sample C were very similar; however, Sample A suffered from a slight grainy note and Sample C was a touch heavy on the funk – both A and C weren’t as balanced as B (which reminded me of Russell’s Reserve 10 a bit). Taste summary: Wow – the differences really start to show here. As with the nose, Sample B was the clear winner with greater sweet/spicy balance and more pleasant notes. Samples A and C were in some ways similar, but in other ways unique. Sample A was basically how I expect modern WT101 to taste, while Sample C seemed a little bit unbalanced, yet slightly more complex. Finish summary: So, as expected Sample B shines above the rest, but just ever so slightly. Sample A and C were again, very much similar – neither really coming across better than the other. Unfortunately, the finish on all three of these pale in comparison to the 101 that came decades before. Another talk for another day. How about that? Wasn’t surprised about Sample B, but was very surprised by the Sample A & C reveal. 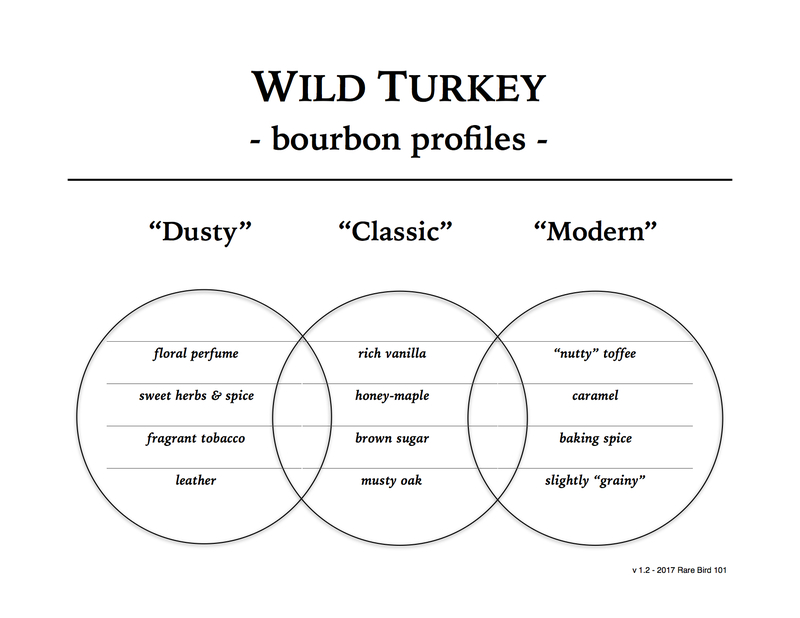 I thought Wild Turkey was improving in quality, but if you take this blind comparison into consideration, that doesn’t necessarily seem to be the case. That said, do I recommend tracking down previous label bottles or even paying premiums to acquire them? No. If you have access to older label WT101, by all means buy it at retail but don’t go crazy hunting it. Russell’s Reserve Single Barrel is still the best standard shelf Turkey out there and modern 101 does just fine as a daily sipper (as well as for cocktails, cooking, etc.). And If you really want to experience fabulous Wild Turkey, save up or sample swap for the old stuff.